Folders come in many different styles to suit a variety of purposes. 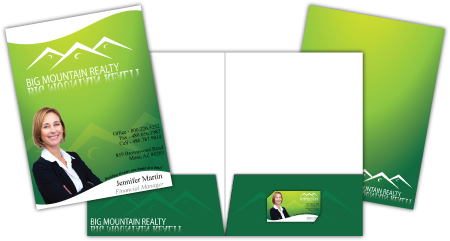 These folders are printed on a desired size of paper and involve NO die cutting. Recommended size A3+ - A4+. Usually use a thick gramamage of paper is used to keep the folder strong and durable. Folders can be printed both sides and include any finishing you desire. There is NO pocket in this folder. Note: Finishings are NOT cost effective on digital prints. These folders are printed on a desired size of paper and involve die cutting. With this folder the pocket gets printed separately from the folder and glued onto the folder You can print on both sides of the folder and on the front of the pocket You can include any finishing you desire. Folders are printed on a desired size of paper and involve die cutting. Folder and pocet are connected. You can print on both sides of the folder. You can include any finishing you desire. Note: These folders can NOT be digitally printed. Please supply artwork as an open (not folded) folder in pdf format. Please use NO LESS than 3mm bleed and include crop marks. If you are supplying open artwork, please convert your fonts to curves, alternatively please supply us with the fonts used on card. Please supply artwork with a dieline if your type of folder requites die cutting. Alternatively we can quote on layout and design. The client needs to be clear as to what files he/she has in order for us to quote accurately.